The solution is a one stop shop for a designer studio. It is customized tailoring solution which is cloud based making it easy to install and setup. With the GUI and required functionalities, a user can start using the product within 5 minutes. This solution helps the business with CRM, sales, measurement records, production, purchases, inventory management, logistics, transportation, HR management, accounting and many more. It is a scalable solution whihc can be used at multiple stores across geographical regions by different users at the same time. Create animated titles, credits and lower thirds. Start from scratch or with one of the animation presets available right inside the app. From spin to swipe to slide, there are countless ways to make your text move with After Effects. Combine videos and images to send an UFO across the sky, blur out a logo or create an explosion — the possibilities are endless. After Effects has hundreds of effects to get just the look you want, from adding fog to changing colours to making it snow. Set anything in motion using keyframes, including logos, shapes and cartoons. Add sound for really amazing results. After Effects works together seamlessly with other Adobe apps. Edit comps and immediately see how they look in Premiere Pro CC with Adobe Dynamic Link. Easily import work from Photoshop CC, Illustrator CC and Audition CC. And use Adobe Team Projects to collaborate with editors no matter where they’re located. Animate motion graphics, including charts, graphs, promos and schedules, using imported data. Tools for 360/VR are now deeply integrated into After Effects. Edit stitched videos without distortion, apply seamless effects and motion graphics to 360 videos and more. Find and customise keyboard shortcuts quickly using a visual map. Get started faster with an intuitive Start screen. Render layer transforms and motion blur on the GPU. And select and preview your favourite fonts with a new menu. Create motion graphics and visual effects for film TV video and web. Q. How do I download and install After Effects? You can download After Effects from the Creative Cloud apps catalog. You'll need to sign in with your Adobe ID and password to complete the download. For more information, including how to install older versions or check for updates, see Download and install Creative Cloud apps. Q. Why won't After Effects install? Q. 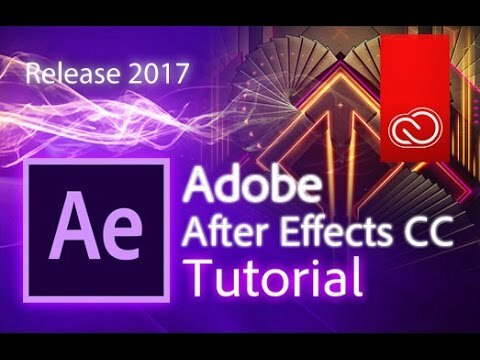 Can I download a trial copy of After Effects? Q. Can I install After Effects on another computer?